Impounding: Including your property taxes and insurance payment along with your monthly mortgage payment. 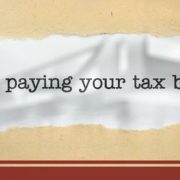 Not impounding: Paying the property taxes and insurance once a year on your own. What should YOU do? The answer more or less depends on your personality: Are you the type of person who does not want to think about paying your property taxes and insurance at the end of the year? Would you rather it be billed monthly so it’s done and over with? If so, you may want to impound. Keep in mind that impounding requires a little more money out of pocket at the close of escrow. 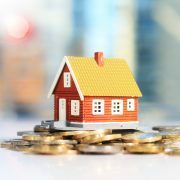 Specifically, you will need to pay a one-time cost of approximately 6 months of property taxes and 2 months of your insurance as part of your closing costs. Would you rather pay your property taxes and insurance on your own and keep that money in the bank until the payment is due? Do you have plenty of funds and are not concerned with a bill at the end of the year? If so, you may enjoy not impounding. No impound deposit is required. Good News! There is no wrong answer. Talk it over with your loan officer and think about which option works best for you. Tip! During the loan process, you will be required to print, sign, and provide many documents to your loan officer. Instead of faxing them, scan them. Scanned documents provide the clearest copy and allow you to keep better track of all documents you provided. Even if you have to buy a $60 scanner for this purpose, it will be some of the smartest money you’ve ever spent! If you don’t know the difference between pre-approval vs. pre-qualification, don’t feel bad. Many loan officers and realtors don’t know the difference either. Technically there is a difference, although most of the time it’s just semantics. 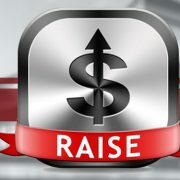 Your loan officer received and reviewed all income and asset documentation. 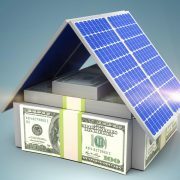 A loan application was input in the system, a credit report ran, and a thorough review completed. 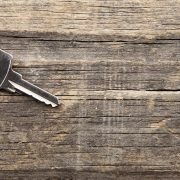 A determination was made by your loan officer with little uncertainty as to whether you will or will not qualify for a mortgage. You provided verbal information only regarding your income and assets. No loan application was received, and no credit report was necessarily pulled. 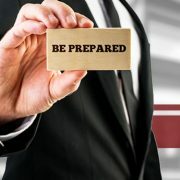 The loan officer determined (with more or less uncertainty) whether you will or will not qualify for a mortgage. A verbal pre-qualification is essentially worthless. 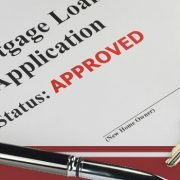 Instead, work with an experienced loan officer, provide all requested documentation, and complete a true pre-approval. It is best always to get pre-approved first. Then go shopping for a home. Having excellent credit comes down to following 3 simple rules: Use your line of credit regularly, make at least the minimum payments, and make your payments on time. Borrowing money and paying it back on time increases your “good” credit points and raises your FICO score. Late payments, collection accounts, liens and judgments increase your “bad” credit points and lowers your FICO score. 2. Remove “Late Payments” Reported on your Credit Report. Many creditors (though not all) will remove one 30-day late payment record upon request. Call the customer service phone number on your monthly statement and ask to speak to the department in charge of adding and removing late payments. Tell them the late pay was an honest mistake, and ask if they would remove one 30-day late payment record as a courtesy to you. If they say no initially, don’t be too proud to beg a little. 3. If You Have to Make a Late Payment, Make Sure It’s Less Than 30 Days Late. Pay the minimum payment no more than 29 days after the payment due date. You will not be reported 30-days late if you do so, and your FICO score will not be negatively affected. 4. The 3-Credit-Card Rule: Use 3 credit cards on a monthly basis. The more you borrow money and pay it back on time, the more your FICO score will increase. You do not need to carry a balance, and you do not need to buy large ticket items. 5. Pay Off or Settle “Derogatory” Accounts. Derogatory accounts are unpaid collection accounts, tax liens, and judgments. Unless you pay off or settle these accounts, your score will never improve. If even if you have a low FICO score, the good news is that the past need not equal the future. Starting today, make every payment on time, and watch your credit score start to skyrocket! 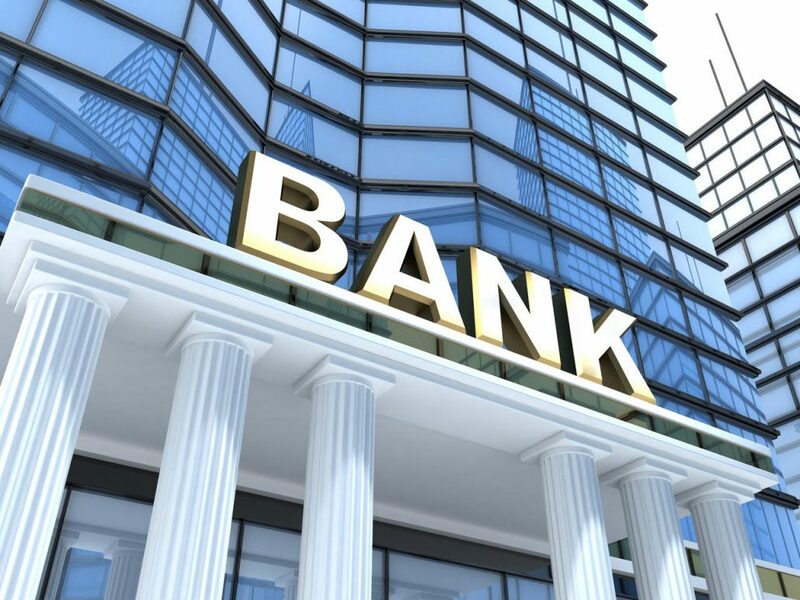 Keep in mind that your lender will review every single deposit you have made on every single bank statement. All instances of non-allowable funds will be “backed out” of your total account balance. Tip! Move ALL funds used to purchase a property into one bank account for two months and make NO deposits or transfers in and out of the account before buying a property. #1 – Are There Any Pending Lawsuits? Is there litigation on the property? Condo projects are being sued all the time. Depending on the type of law suits pending, a condo may or may not qualify for financing. If there is litigation, request a letter from the attorney “summarizing the complaint” and give it to your loan officer to see if financing is an option for this condo project. 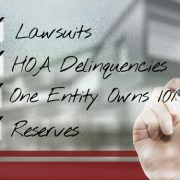 # 2 – Are There Any HOA Delinquencies? You would be surprised how many home owners pay their HOA fees late. 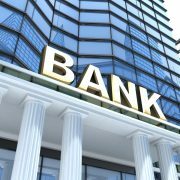 If more than 15% of the condo owners are delinquent on their HOA dues, banks will most likely not lend on that condo project. #3 – Is More Than 10% Owned by Just One Entity? If one person or one entity owns more than 10% of the total units in any given condo project, most banks will not lend on that condo project. 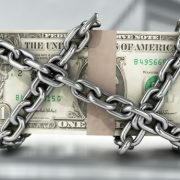 Lenders require 10% of the yearly HOA budget being collected for “reserves” as a line item expense on the actual budget. This is a consistent collection requirement each and every year. If the amount being collected for reserves is less than the 10% minimum requirement, then a reserve study would need to be provided to support the lesser amount being collected. 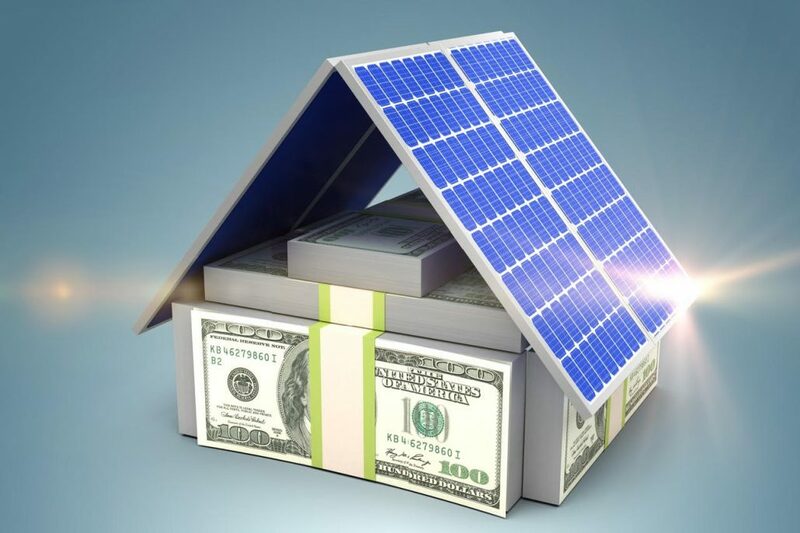 Otherwise, this would likely cause the project not to be eligible for financing. Fun Fact: A good lender may make exceptions to some of these issues. Condo projects with more challenging issues may not qualify for conventional financing, but alternative lending options tend to be available for almost any property. A good rule of thumb is the more challenging the issue, the larger the down payment requirement and the higher the interest rate.